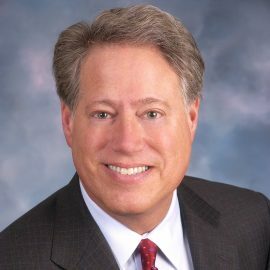 Michael Hershman is an internationally recognized expert on matters relating to transparency, accountability, governance, litigation and security. He is the President and CEO of the Fairfax Group, founded in 1983, which has been retained by governments, corporations, law firms and international financial institutions to assist on matters relating to the conduct of senior-level officials and/or the entities with which they do business. Hershman began his career in intelligence and investigations in Europe during the late 1960s as a special agent with U.S. Military Intelligence, specializing in counter-terrorism. After leaving the military, he moved to investigations of government misconduct and financial fraud for the New York State Attorney General’s Office and the Office of the Mayor of New York City. Later, he served as a senior staff investigator for the Senate Watergate Committee, and as chief investigator for a joint Presidential and Congressional commission, reviewing state and federal laws on wiretapping and electronic surveillance. After the wiretap commission hearings, Hershman joined the Federal Election Commission as chief investigator, where he was responsible for audits and investigations of candidates and their campaign committees. Hershman is a member of the board of directors of the U.S. Chamber of Commerce Foundation, and advises the Chamber on corporate compliance issues. Since 2007, Hershman has been a member of the board of directors and the executive committee of the Center for International Private Enterprise.